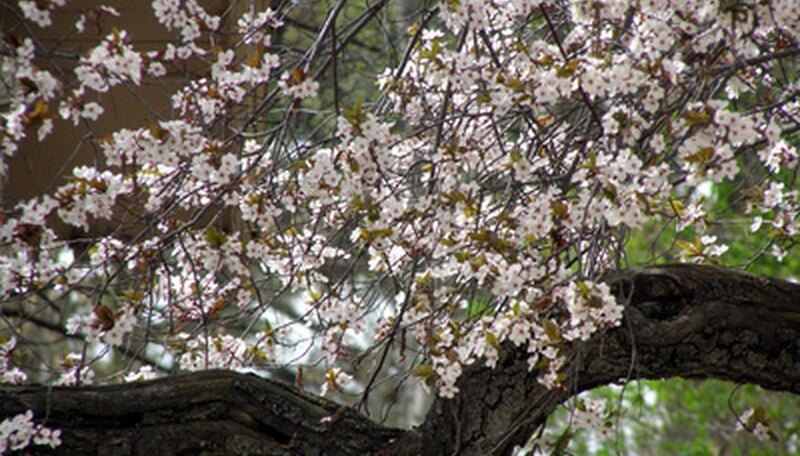 Pruning your cherry tree can be a challenging task if you do not know what branches to prune and when to prune them. Done incorrectly, pruning can stunt a Yoshino cherry tree and even negatively impact crop yield. Keep your Yoshino tree tree verdant, beautiful and productive by knowing how to prune Yoshino cherry trees before you get started. Pick the right time to prune. If your tree is not full grown, then prune it in winter when it is still dormant so that you do not impact its growing season. If you want your tree to remain at its current height, prune in the summer instead, according to online resource About Cherry Trees. Look closely at your tree. Note any dead or dying branches, as well as branches that have discolored leaves or cankered branches. Remove problem branches. These are the ones you just noted. Use sterile pruning technique, meaning that you wipe down your clippers with rubbing alcohol after each cut, and dispose of the plant debris in a sealed garbage bag rather than allowing it to fall to the ground. Make sure that all the branches get enough air and light. Trim any branches that are less than three feet off the ground, and make sure that there are about 2 feet in between each "layer" of main branches extending from the trunk. Branches should circle the tree and extend perpendicularly from the main trunk, so you should thin out branches growing upward first.